Steinberg has released two new updates for the Cubase 6 series. 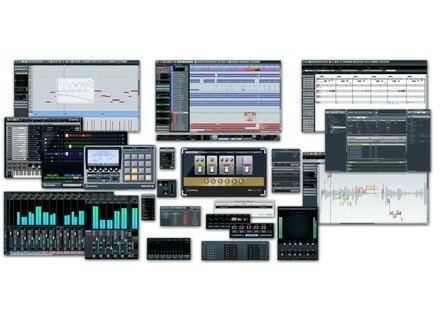 Steinberg has released a free 6.0.6 maintenance update for Cubase 6, Cubase Artist 6, Cubase Elements 6, Cubase AI 6 and Cubase LE 6 as well as an unsupported 6.5.1 pre-release update for its music recording and production systems,Cubase 6.5 and Cubase Artist 6.5. While the 6.0.6 update resolves several user-reported issues, the 6.5.1 update addresses one particular issue when working with VST Expression and VST Dynamics events. Rewire x64 support: Cubase now connects to ReWire client applications in a pure 64-bit environment under Windows and Mac OS X.
Quantize Preset list with 128th Note Preset: The Quantize Preset list has been extended to include a 128th Note Preset by default. Existing installations will show the additional presets only if the factory presets are restored from within the Quantize Panel or if the "RAMPreset.xml" is deleted from Preferences. Plug-in: Scaling the user interface now works properly with FXpansion instruments. Plug-in: Changing of knob mode in Preferences now applies directly to opened VST plug-in windows and does no longer require an unloading and reloading of the plug-in. VST Expression: Vienna Symphonic Library titles now work correctly with Expression maps, even when the entry for Articulation 1 is empty. VST Expression: Placing different parts that contain VST Dynamic events on the same track now works as expected. Surround: Processing 5.0 surround audio offline with Waves C360 (v9 or higher) no longer leads to memory issues. Surround: 5.0 surround audio files now import with a correct speaker configuration (LCRLfeLs). Pool: Emptying the pool no longer leads to stability issues. Video: Playing back projects containing certain video files using Cubase LE 6 / AI 6 / Elements 6 no longer renders the application unreliable. VST Expression: When using VST Dynamics events, no drop outs of other MIDI events on the track will occur. Note that the 6.5.1 pre-release update is an immediate response to an issue reported by customers and didn't pass through Steinberg's entire quality assurance process. The company says that although the internal preliminary testing indicates that it is stable and reliable, technical support cannot be granted. The next fully supported 6.5.2 maintenance update should include the improvement among others. Klanghelm DC8C Klanghelm has released its new compressor DC8C,the big brother of the free DC1A .